I had just landed in Dallas on my first leg of a journey back to California. 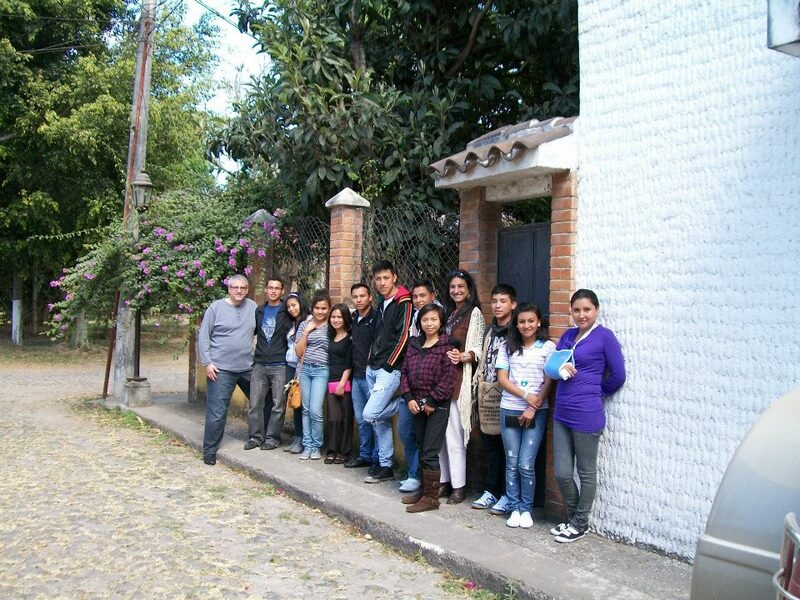 I had been visiting Guatemala to see the principles of Integral Theory popularized by Ken Wilber applied on the ground to complex social problems in Guatemala. After landing, I knew I had a layover of several hours, so I decided to go outside and have a smoke. Yes, this not a socially acceptable habit in some circles, but it is a vice that I still hold onto along with enjoying a coffee. Some would say the two go together and once outside the airport, I looked around for the nearest coffee shop. I happened to find a Starbucks back inside the airport a few gates down. I ordered a latte and while I waiting for them to make it, I looked over the list of beverages and their prices. The largest sized latte was $4.23 about one day’s wages for picking approximately 200 lbs. of coffee beans in Guatemala. Those wages will get you something like a place pictured on the left usually without running water, electricity or even real walls! 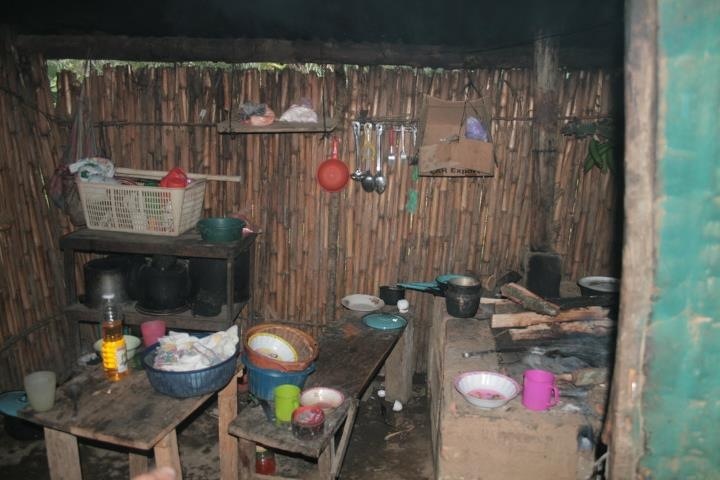 Often 4-6 or more people share conditions like this out of necessity to supply our coffee habit and in order to survive. Of course, some companies, countries and conditions are better than others. However, in general it is rare to make more than $8.00 a day harvesting coffee in a Central American Country. These numbers are according to the statistics found in the book UNCOMMON GROUNDS – A History of Coffee and How it Transformed the World. Coffee was initially discovered in Ethiopia and from there spread to the Arab world. Eventually it caught on in Europe and with the demands placed on working class in Europe during the Industrial Revolution, it became increasing in demand. In fact, coffee is an international commodity that drives the economy, politics and social structures of entire countries. This is certainly true of Guatemala and it has lead to an uneven distribution of wealth and the exploitation of the indigenous Mayan people. In general, coffee is grown between the Tropics of Cancer and Capricorn at altitudes between about 4,5000 and 6,000 feet. After the Spanish Conquest, the Mayans were pushed up the slopes of the volcanoes onto what was considered inferior quality land. However, coffee grows best in this type of volcanic soil at about this altitude. As a result, this land became valuable, but the Mayans were displaced and subjugated into cultivating this very same land by new landlords, companies and an often corrupt government. Currently in Guatemala, it is my understanding that 10 families hold about 70% of the wealth. That is a very telling statistic. This economic system evolved slowly and as we all know, these types of complex social inequities are difficult to resolve in practice. Indeed, various governments including the United States have intervened in Central and South America often with terrible results. Guatemala specifically, has also been wracked by civil war and other political problems. It also a place where drugs are cultivated and possesses trade routes between countries that grow and distribute various types of drugs. 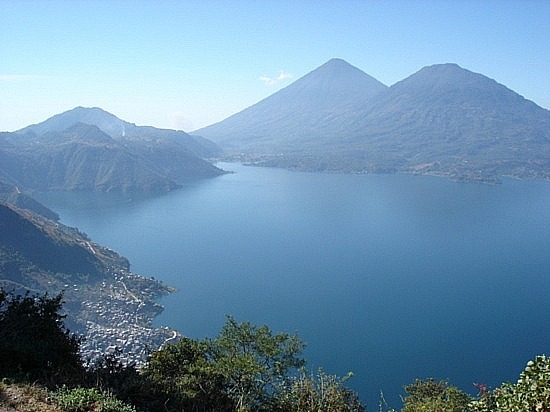 At the same time, Guatemala is one of the most beautiful countries on the face of the earth. It blessed with beautiful weather, volcanoes, rainforests, etc. Almost anywhere you look, there is an abundance of natural beauty. However, beneath this natural beauty and the veneer of civilization that is presented to tourists in places like Antigua lies enormous poverty. Having my Masters in Integral Psychology from John F. Kennedy University, I was intrigued by the application of the principles of Integral Theory to the social problems in Guatemala along with those found in Mick’s wonderful book the Uncommon Path. I wanted to talk to them, so I pursued my intuition! When I first encountered the organization on Facebook I was intrigued and set up a Skype call with Deborah Prieto. I wasn’t quite sure what was calling me to Guatemala, but I arranged to visit in order to see the work they were doing. In a nutshell, they were applying sophisticated models that take into consideration the interior and exterior aspects of situations along with the systems that accompany and give rise to them. Their work is with individuals at a deep level, but also looks at the more complex relationships between various systems, developmental levels and even the interior of the society, which is to say the culture. If you watched this video you get a sense of the work, people and synergy between the various projects they sponsor and how it all comes together to yield tangible life-changing results. Moreover, they run the organization on a tight budget and although U.S. dollars donated go further in Guatemala, they are still running on a low operating margin and without larger donors or corporations they may encounter challenges in scaling their work. Right now, they offer a sponsorship program for children and young adults and there are some companies and individuals who have been generous with their solar project. I currently live in the midst of the wealth of Silicon Valley where the average person drinks a lot of good coffee from Guatemala and other similar countries around the world. Per capita, I can’t imagine a population that appreciates coffee as much as it fuels the often late nights of the software engineers and other technical innovators as it did the working class during the Industrial Revolution. I’m not sure exactly how many coffee shops are in the SF Bay Area, but it’s definitely in the hundreds if not thousands. My thinking on this organization’s future is what if they partnered with coffee shops, coffee roasters and technical companies in Silicon Valley. They have a solar energy program, it would seem it would be conscientious capitalism to raise awareness of the social issues that accompany the coffee economy and at the same time promote green initiatives, their companies products and further the education and survival of the indigenous people who are living at a subsistence level to supply us with our morning latte. Again…. one latte is about a day’s wages for a healthy man working all day in the sun, walking long distances, etc.! If that’s not bad enough because people are living at a subsistence level, they keep their kids out of school to pick coffee. This implies that to break the cycle of poverty, you need comprehensive programs that include education, other types of aid and accountability. This is exactly what the Integral Heart Foundation does and it works. I have visited Integral Heart Foundations schools, witnessed the work of their programs and the wise use of their resources. If you are interested in learning more, you can visit their website and become a sponsor or look for them on Facebook. I am sure they would love to hear from you. I’m very proud I can play a small part in raising the visibility of this organization. If you come out to attend their fundraiser please share your perspective. Although the United States has hit some difficult times, we still are very fortunate compared to the rest of the world. If we all share a little, we can help a lot and even sharing your well wishes or communicating with your friends sets causes in motion that lead to results. Here…. 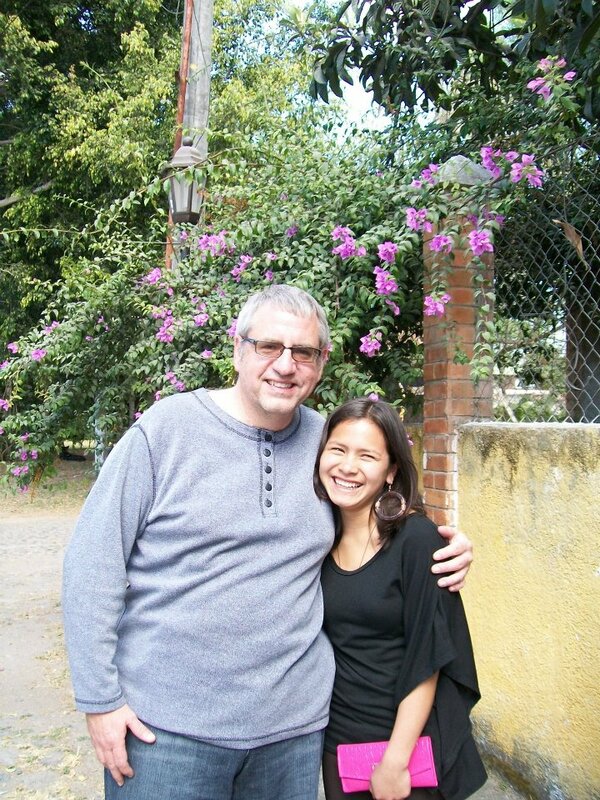 you can see me with the young woman who I sponsor, Dinora. After being in the program, she is self-confident and is planning on attending college for pre-law. 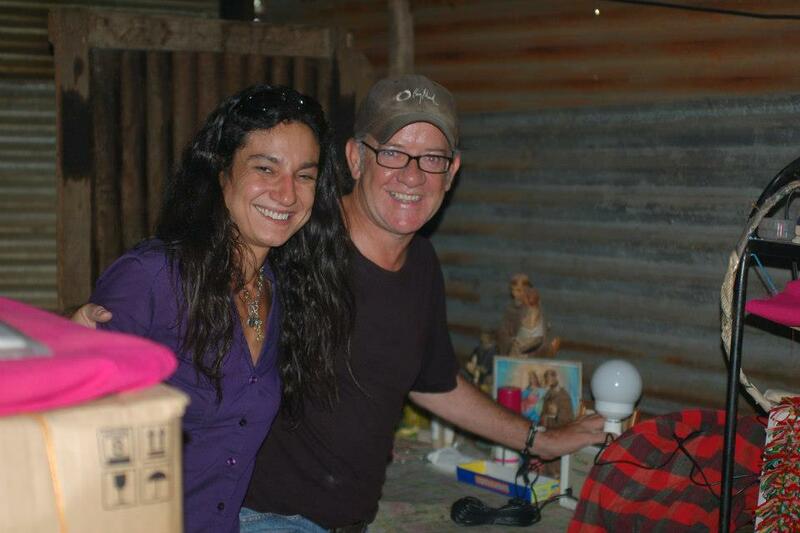 I met her in person when I went to Guatemala and I hope to go again soon. If you are considering sponsoring a child through their organization, I would love to hear that in your comments. It only costs $35 a month to sponsor a kindergarten child for a month and that even includes nutritious meals. potential, but most importantly the SOLUTION in education and how you can help make a difference to many. Sunday, February 17, 2013 – Los Angeles – Hosted by Malena Gamboa. Learn about our four programs: Sponsorship, Integral Education, Kindergartens and Solar Power. Talk and photo presentation by co-founders about our work with Q & A afterwards. To raise funds for our work in Guatemala.